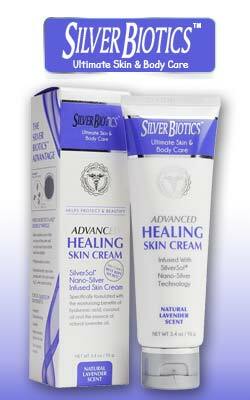 Silver Biotics Armor Gel 1.5oz should be the first thing you stock your first aid kit with. My first encounter with a Silver Biotics Gel application was on my return from a month long trip. I couldn't wait to get out on the bike path for a ride out to Coronado and back. About 15 minutes into my ride I wasn't paying attention and hit the side of the trail, lost control, and went down hard on my left side. I lost a lot of skin but the scariest part was the silver dollar sized hole on my elbow that exposed the bone. Sorry to be so graphic but it is what it is. I had a serious accident in Mexico City a few years ago where my right side was devastated including a broken clavicle. So I've seen this show before. A couple of passers-by helped me with my bike and drove me home. I did was cleaned the wounds and start applying the Gel. The first thing I noticed was how incredibly soothing it felt. No stinging. I changed my dressing every day. I was really worried about the hole in my elbow though. Over time my wounds healed and my elbow was left with a very, very small scar. Had I not use the gel I am sure I would have had a big ugly scar on my elbow. I can't recommend this product enough. Armor Gel™ is the wound dressing gel for all of your family's first aid needs. It is built to protect your wounds so you can stay focused on your families adventures, it’s the all in one first aid kit to help you get back on your feet. Family activities that are perfect for Armor Gel include, but are not limited to: biking, hiking, running, rock climbing, skateboarding, and so much more!